You are currently looking for Holiday Cottages in Praa Sands to help you find the right cottage break you can filter the results. Sampson Barn (Praa Sands) sleeps a maximum of 2 people. 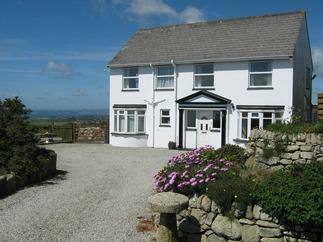 Hill View (Praa Sands) sleeps a maximum of 4 people. Eldertree (Praa Sands) sleeps a maximum of 6 people. Summers Rest (Praa Sands) sleeps a maximum of 4 people. Sea Drift (Praa Sands) sleeps a maximum of 4 people. Avalon (Praa Sands) sleeps a maximum of 4 people. Clipper Cove (Praa Sands) sleeps a maximum of 4 people. Treryn (Praa Sands) sleeps a maximum of 6 people. Bre An Mor (Praa Sands) sleeps a maximum of 2 people. Palm Lodge (Praa Sands) sleeps a maximum of 2 people. Wheal Grey (Praa Sands) sleeps a maximum of 6 people. Serenity (Praa Sands) sleeps a maximum of 4 people. LightHouse (Praa Sands) sleeps a maximum of 2 people.